Awakened T. - Monsieur T.
This detox tea is specifically designed to wake up your lovely neurons. A blend of mate (a stimulating plant), green tea (accelerates metabolism) and rooibos (excellent for hydration) that gets you ready to face any traditional Latin Mass, parliamentary session or Gaelic poetry recital. 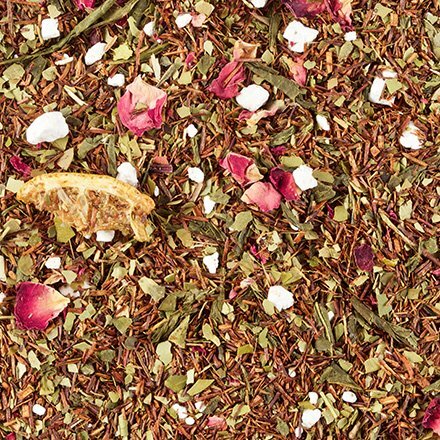 Awakened tea, citrus and rose give the final touch, enhanced by lemon meringue pieces. A good way to start the day... or extend it a little longer. Contains: Rooibos, Brazilian mate, Chinese Sencha, orange slices, flavors, lemon meringue, rose petals, rose buds, black carrot peels.